Many sales reps avoid selling HCM solutions to non-profit organizations because they don’t have the money to sign a big contract. But many non-profits are willing to spend money if you can prove ROI and provide value no one else is offering. One of our partner sales reps says that IDI's unique solutions help him secure $50K - $60K deals with non-profit organizations. IDI's Time Bank solution and GrantAlytics software provide capabilities that meet the particular needs of many non-profits. Qualifying prospects early on can help you quickly identify the non-profits that have the biggest potential for a bigger sale. Want to start closing bigger deals with non-profit organizations? Use these questions to qualify the prospects that are a fit for IDI's solutions. Question 1: How are you allocating your labor costs to different grants/funds? Most of the time, if non-profits need to track actual labor expenses (hours/earnings) to a specific funding source, they're managing the different allocations via spreadsheet. That isn't always problematic if everyone always works on the same grants/fund for exactly 40 hours every week, but the challenge can occur if they have salaried employees or hourly employees that work overtime. How do you spread the employee's salary if they charge 43 hours one week to 4 grants and 38 hours to 2 grants in the next week? Or how do you spread the burden of the 1.5x overtime costs across the different funds worked? Manually doing the allocations exposes the organization to inaccurate reporting. If they are heavily grant- or contract-funded, that's not a comfortable position to be in. IDI's Time Bank solution can automate their allocations to the penny, automatically. It saves hours of work each pay period, and relieves the anxiety of inaccurate reporting. Some non-profit organizations need to do contract and grant reporting, but they can provide fixed labor costs each month for their employees. In this case, they are still a great candidate for Time Bank, because the solution can automatically produce those reports with a connection to payroll. Question 2: What percentage of your grants is new, rather than renewal? This is a powerful question, because non-profits that are applying for new grants need to differentiate themselves as a grantee. One of the strongest ways to do that is to show the funding source that you have invested in systems to support transparent reporting. It gives funding sources an extra level of comfort in providing those funds, because the non-profit is prioritizing and investing in accurate reporting. Question 3: What percentage of your revenue is restricted versus unrestricted? Non-profit organizations like the Pope Francis Center get funding from individual donors who think they're doing great things. Those donations are unrestricted--people trust that the center will use the funds in the most advantageous way in order to accomplish their mission. Organizations with restricted funds will need to invest in systems that allow them to account for every dollar that is spent. If a non-profit has 90 percent unrestricted funds, then it probably isn't necessary to capture time to a program or do a contract on a time sheet and to be very detailed about allocations. Question 4: How important are financial metrics to your board? A key trend we're hearing more frequently from non-profits is an increased board member focus on financial metrics. More non-profit boards want to be able to look at a dashboard and immediately understand the financial health of the organization. They don't want to dig through a stack of P&L statements. IDI's GrantAlytics was built to provide complete financial transparency at a glance. Question 5: What financial metrics are most important to your board? The purpose of this questions isn't to listen for specific metrics, but to open up the conversation about financial transparency. However, some powerful metrics include restricted funding and cash on hand. Non-profits can be cash-strapped and have limited cash on hand, which can play into the entire sales process. This could be helpful to determine if they will need to ask about discounts. There are some resources that can help you prepare for sales meetings with non-profits, and hone the qualifying questions you ask. Guidestar is an online database that provides up-to-date financial data on non-profit organizations. You can see how much of their revenue is contribution, grants, and gifts, and how much comes from programs, dues and services. View information on their operations and programs, and get a helpful summary about the organization as a whole. It provides a quick way to get a snapshot of the organization's revenue makeup, which can help you determine what questions to ask. Guidestar is a great resource that few sales reps know about, and it's free to sign up. Use it to understand how to speak to the mission and activities of the organization. 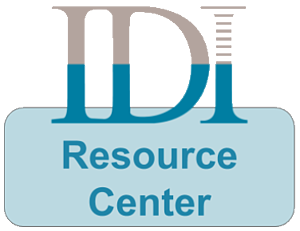 The IDI Resource Center represents 30 years of domain knowledge on terms and concepts that relate to the HCM industry. We've identified dozens of key topics and phrases that non-profit clients expect you to know, so you can speak their language and demonstrate your industry knowledge. If you have an opportunity with a non-profit, just go to the Resource Center to get up to speed on grant allocation, funding reports and other concepts that your prospect will expect you to know about. The Resource Center is a game-changer for sales reps who need to hit the ground running and differentiate themselves from the competition. Ready to start closing bigger deals with non-profits? Try using these qualifying questions and check out the IDI Resource Center to prepare for your next sales call.